A couple of weeks ago, as part of a side project I’ve been working on with a parenting magazine, I happened to be collecting data from a website that prompted me to stop and think about the 5 books that have influenced me most, or my “bookprint,” as it was called. This will be easy, I thought. So, I settled in to my couch cushion, and began what I assumed would be a quick process of popping in a few titles and moving on. One hour and one sleeping leg later, This is really hard, was going through my mind. And, I think most people who have read consistently throughout their lives will probably have a similar experience. However, it was totally worthwhile. So worthwhile, in fact, that I wanted to take a few minutes to share my results and encourage others to do the same. What the exercise did was twofold: it not only made me stop and remember all of the wonderful books that have made an impact on me throughout my life – those little explosions of awe that were bright enough to still be echoing around in my mind – but also caused me to see myself somewhat differently, to understand myself better. You see, the process of elimination (because you can only have 5), really made me stop and think if I’m being honest, truly, transparently honest, then which books, which reading experiences really define me? and why? Some of the results were expected. A couple of them surprised even me. What didn’t surprise me all that much was that all of the books that ended up on the final list were ones I read as a young person (before 15). After all, that’s when we’re most impressionable, it’s when the basis of our personalities, outlook, and worldview are formed. It’s also an era of books I have yet to let go…and may never. I am what I read, then and now. The website was Scholastic’s You Are What You Read. It’s a part of their “Read Every Day, Lead a Better Life” campaign, which is in turn coupled to their very unique Reading Bill of Rights document. “Literacy – the ability to read, write and understand – is the birthright of every child in the world…” meant a lot to me before this little exercise. But, having had the opportunity to think more deeply about how books have shaped who I am today, I find it now means a whole lot more. Think about it: Who would we (as human beings) be without books? Here’s my bookprint. What’s yours? The Harry Potter books (my own love of them and their phenomenal success worldwide) inspired me to think – and write my masters thesis – about the ways in which literary society is forming and reforming around and apart from postmodernism, expanding into something new. 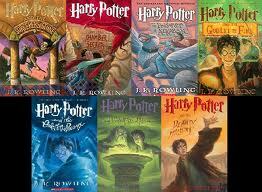 I think that the HP books have shaped our culture irrevocably, and for the better. They’ve opened us back up to “positive possibility” (as opposed to the “negative possibility” promoted by much of theory in the last 100 years) and that is saying something. I saw (and subsequently developed) a lot of myself in Anne: using big words, being feisty and independent, doing everything “to the max,” and loving wholeheartedly. She helped me understand that those were good qualities, and that I should always be true to that piece of my nature. 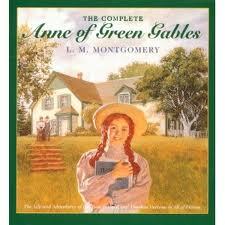 On a humorous side note, I asked for the films for Christmas last year, and got Anne of Avonlea from my sister. We (my sisters, brother, husband, and I) stayed up all night watching the 4-hr, 2-disc classic, most of which I was convinced my husband would miss. I just didn’t think it was his kind of thing. However, when the closing credits came on, he was still wide awake, staring thoughtfully at the screen. Then, he turns slowly toward me and studies my face for a moment before saying, “Hhh. Now I understand you,” and stands up to head to bed. Another surprise for me, though perhaps it shouldn’t have been. 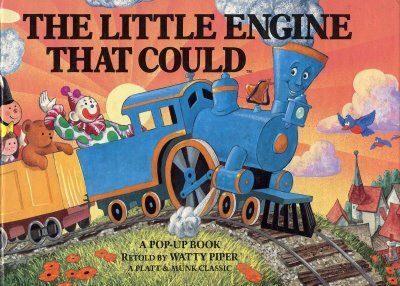 I can still, very clearly, recall my mother reading this book to us. 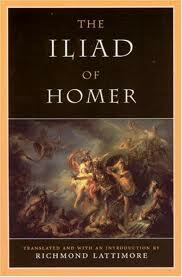 She, through this book, provided me with a mantra (and philosophy) that has lasted a lifetime. “I think I can,” has gotten me through some of the toughest times of my life, and I am definitely a different person for it. Finally, this book (or, poem, I really should say), though it might surprise some that I included it, didn’t surprise me. At least not this year. I actually realized that this work belonged on my list many years ago during an undergraduate course that was partially on children’s literature. First introduced to me in an elementary school spelling book, Field’s elegant poem opened my eyes to the world of beautiful text and the power of metaphor. It helped shape the books I read thereafter, and is an important piece of the reader, writer, and editor that I am today.
. . . and many, many, many more.